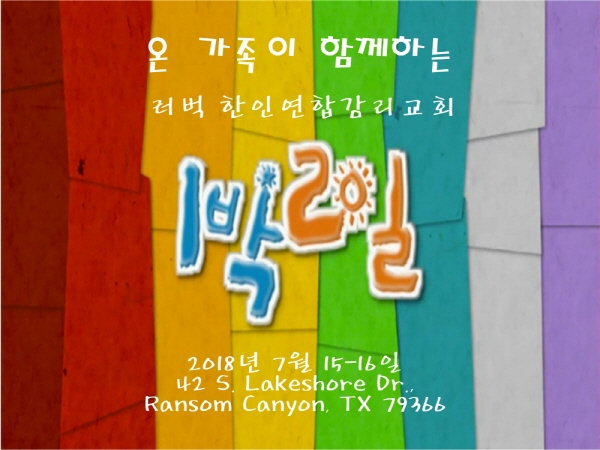 7월15-16일에 42 S. Lakeshore Dr., Ransom Canyon, TX 79366에서 있는 전교인수련회에 함께하시길 바랍니다. I may walk through valleys as dark as death, but I won't be afraid. You are with me, and your shepherd's rod makes me feel safe.